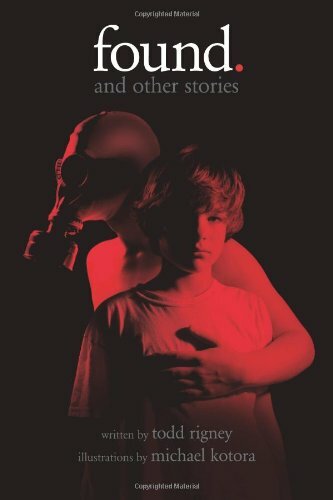 Marty: My brother keeps a human head in his closet. 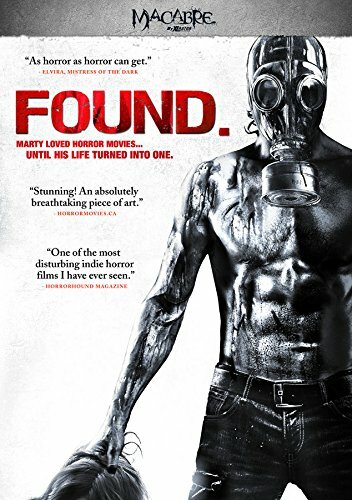 #FOUND by @SWSchirmer is an extremely heavy horror. I just asked myself, "what did I watch?!" It shocked me. Love it. Seriously. Marty: My brother keeps a human head in his closet. Every few days, it's a new head. Usually, they are black women. But one time he had a white man's head in there. I was going bowling with my friend David one day and I needed to borrow Steve's ball. He wasn't home, so I took it without asking permission. That's a big no-no. When I opened the bag at the bowling alley, I almost cried. I didn't tell anyone about it, and I used David's ball instead. I lied and said the one I brought was too heavy for me. I'm surprised they couldn't smell it. It's another black woman's head, and her hair has been ripped out. I've seen a lot of horror movies, and the heads in those things don't come close to looking like the real thing. I can't explain what it feels like to hold one of them. At one point it had thoughts and feelings and it kissed somebody it loved. Now it's just a bloody head in a bowling ball bag. I hope I don't end up that way. If Steve found out I was in his room, he'd probably kill me too. I worry about him finding out. What if I put the head back in the bag facing the wrong direction? If he's a killer, he probably thinks about things like that, because he's crazy. The first person he would blame would be me. Big brothers blame little brothers for everything. Dad says that's just the way it is. Marty: Why do there have to be two Steves? Marty: I'm tired of people always winning and me always losing. From now on, I'm going to make sure I always win. Looking at what I've done to Trevor makes me feel proud. Instead of getting hit and taking it like a wimp, I stood up for myself and did some damage of my own. It may not have been as bad as what Steve does, but it's good enough for me. I hope you go to hell. Marty: My life is starting to feel like a horror movie. But who's the monster? Is it Dad? Is it Steve? Is it me? Marty: Everyting I used to love about my brother is gone. This isn't Steve. This is a stranger wearing Steve's skin. And I have to stop him. Marty: My life really has become a horror movie. And you know how they end. Steve: You can't understand right now. But in the mornig, you'll understand. I'm sorry. When you're older, you'll thank me for this. You'll see. Everything is going to be okay. They can't hurt you anymore. You know, I'd never do anything to hurt you. I'm your big brother. I let you borrow my movies. You deserve to know what happened. In the morning, I'll show you, okay? I'll show you everything. Please stop crying. Steve: Please stop crying! I didn't make you sad! I didn't make you cry! Stop crying!!! Marty: It's Monday morning. School will be starting soon. Will anyone notie I'm gone? Will they notice Dad's not at work? Or that Mom's not at the office? I wonder when they will come search the house. I try to move and it hurts all over. All I can do is wonder, wonder when I'll be found. I look at Mom and I look at Dad, and they scream at me with their empty eyes. My mind wants to scream and kick and freak out, but I keep myself under control. If I loose it now, I might not come back for a long, long time. Stuff like this can really warp a person.